How to choose, what and where to buy, are frequently asked questions when it comes on buying Christmas gifts for parents. Find all the answers here. 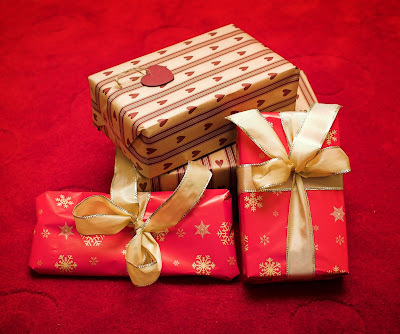 I know it’s sometimes hard to choose a special gift for parents but now there are so many opportunities and a large choice of gifts that you may find suggestions everywhere. Surfing the internet became for me a source of inspiration but I still look and keep in mind my parents’ preferences. What can be more pleasant for a parent than receiving an inspired gift from loving children? What other can be nicer for children than knowing that the gift they chose heats the parents’ hearts? I simply adore these moment when my parents unwrap the gifts I gave them, their smiles and cheer when seeing the gift they like. But keep in mind that you should take into consideration your parents’ age and preferences, their ‘secret’ wishes and hobbies. Choose from gifts that already become a tradition: Kindles, digital photo frames, gift certificates from Amazon or gift certificates from restaurants they like. If your budget is restrained you can choose a simple souvenir and a letter telling them the things you are grateful for, ‘Best Parents’ gift frames or a nice knick-knack at your choice. If you can afford a more expensive gift you can choose everything starting with watches and jewelry to a holiday tour to any destination at your choice. You may want for your parents a romantic trip to Paris or a holiday tour to Hawaii or India or may spend a lovely family evening with them fooling around and taking pictures. Whatever you choose make sure your parents would like your gift and appreciate your effort. If your father likes hunting, fishing or smoking you can buy something at the specialized shops. You may also choose traditional gifts: a book, gift baskets, and a bunch of roses or your mother’s favorite flowers would make the moment even more special.